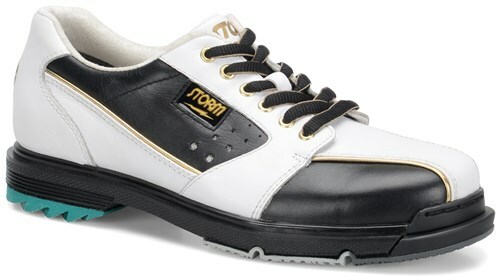 The Storm Womens SP3 takes the world of womens bowling shoes to the next level. The Toehold Hyperflex Engineering was designed to increases the flexibility and durability of the shoe. The high performance detailing of this bowling shoe leaves nothing out. I wear a size 8 in my current Dexter shoe, will I need to adjust my size with Storm? Dexter manufactures Storm shoes, they will fit the same way. 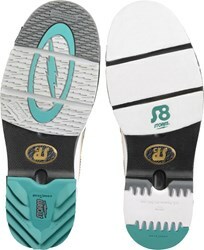 The shoe will include On Shoe (removable): THE8, H5ST, THT2, H2UB. There will not be any extra soles or heels. Due to the time it takes to produce the Storm Womens SP3 White/Black/Gold ball it will ship in 2 bus. days. We cannot ship this ball outside the United States.